The PDF Writer has a hardware margin of 0 (zero). This enables the installed printer to write to the edge of the paper. Normally this is a great feature but sometimes it may be a problem because the created PDF files are sent directly to a physical printer without scaling it to fit the margins of the physical printer. 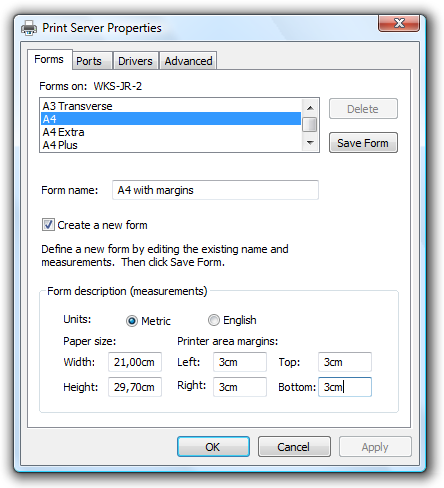 In case you want to use a hardware margin together with the PDF Writer, you have to create a new form (paper size) on your system. 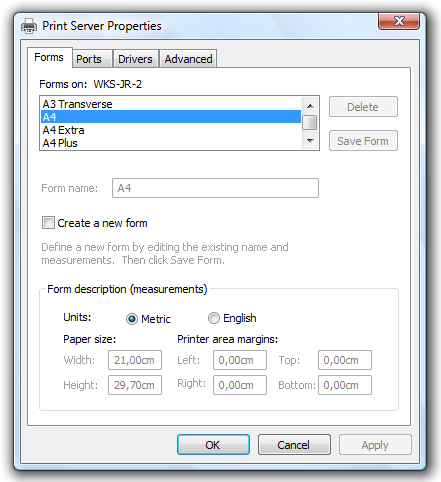 New forms are easily created from the Control Panel list of printers. 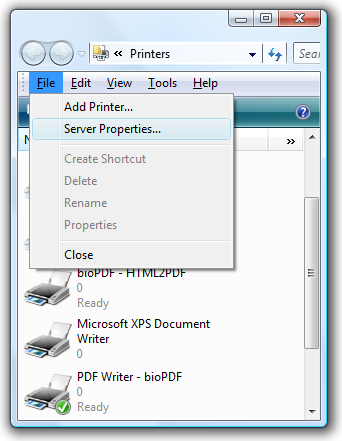 Just open the File menu and select Server Properties. When the new form is saved, you should go to printer properties of the PDF Writer. Here you click Printing Preferences. In the next dialog you click Advanced. Now you can select your new form as the default paper size of the PDF Writer.